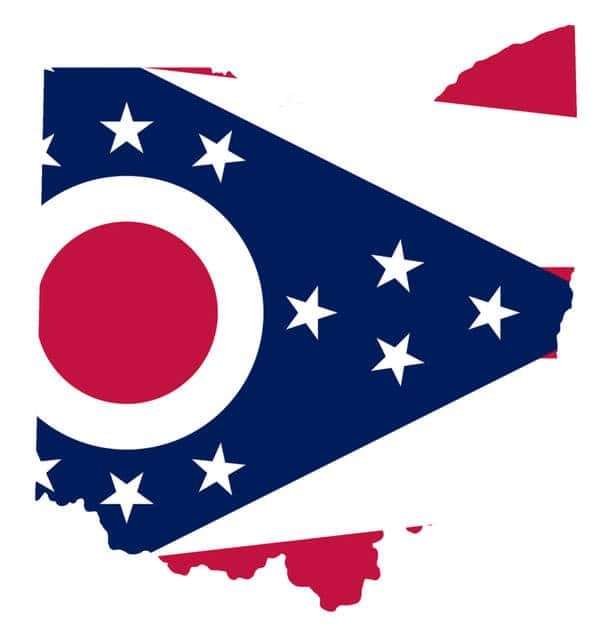 CLEVELAND (AP) — A federal agency has approved the construction of a high-pressure natural gas pipeline that’s drawn intense opposition from some Ohio residents concerned about safety and property rights. The Federal Energy Regulatory Commission in Washington on Friday granted a partnership between Calgary, Alberta-based Enbridge and Detroit-based DTE Energy a certificate of public convenience and necessity for the project. The $2 billion NEXUS Gas Transmission pipeline is designed to carry gas from shale fields in Appalachia across northern Ohio and into Michigan and Ontario, Canada. The 255-mile-long pipeline will be capable of carrying 1.5 billion cubic feet of gas per day. An opposition leader says the fight isn’t over. AKRON — Another Ohio city is considering changing Columbus Day to Indigenous Peoples Day. The Akron Beacon Journal reports Akron City Councilman Russ Neal has proposed the change. Neal says the change will help correct “the wrongs of the genocide that took place,” and encourage celebration of Native American culture. Five states — Hawaii, Alaska, Oregon, South Dakota and Vermont — have chosen different names for the federally recognized holiday or don’t observe it all. Akron would be the second Ohio city to replace Columbus Day with Indigenous Peoples Day. The Oberlin City Council voted to adopt the name change last week. CINCINNATI — The Chicago Defender newspaper’s role in U.S. black history will be the focus of the first lecture for the 2017-2018 series at the National Underground Railroad Freedom Center in Cincinnati. The newspaper founded in 1905 helped catalyze the Great Migration of southern blacks to northern cities, condemned segregationist Jim Crow laws and promoted the electoral power of black America. The Freedom Center opened along the Ohio River in 2004. It focuses on the inspirational Underground Railroad network that helped enslaved people reach freedom and on the continuing fight for freedom around the world. WEST CHESTER — Longtime journalist and entertainer Nick Clooney will lead a fundraising gala for the National Voice of America Museum of Broadcasting in Ohio. A dinner and dance party is planned Sept. 23 at the museum, where the Voice of America’s Bethany Station once operated. The Bethany Station transmitted World War II news into Europe starting in 1944, and later into South America before it was decommissioned in 1994. The museum is still being developed and is typically open to the public just once a month. Other highlights include tours of the museum and the opening of an exhibit on radio entrepreneur Powel Crosley. The Kentucky-born Clooney is brother of the late singer Rosemary Clooney and father of actor George Clooney. LEXINGTON — The Ohio couple who made a “visual bucket list” for their visually impaired daughter and traveled with her to Rome to meet Pope Francis last year hope to help other children through a new foundation. Steve and Christine Myers say they want to provide similar experiences for children with visual impairments like their daughter, Lizzy. The Mansfield News Journal reports they’ve established the Visual Bucket List Foundation and have applied for nonprofit status. The Myers haven’t told Lizzy about her rare genetic condition called Usher Syndrome Type 2A. The condition is characterized by hearing loss and progressive vision loss beginning in childhood that typically leads to blindness. The Myers say their first goal is to raise $10,000 for a 7-year-old classmate of Lizzy with a visual impairment.